Rebourne.etsy.com: your source for natural and organic baby and family goods! This quote came from an article on ecouterre.com, and the article goes on to explain and show the water pollution in Indonesia being caused by big garment manufacturers. This article reminded me why I am so passionate about fair trade manufacturing, organic fibers, low impact dyes, unbleached fiber, and conscious manufacturing of clothing and garments. It is easy to shop at Old Navy, especially when they have t-shirts for $2.00 and sandals for $4.00. I bought a pair of jeans there for 78 cents! Digital textile printers are large-format inkjet printers specially modified to run fabric. Unlike conventional textile manufacturing, digital printing entails very little waste of fabric, ink, water or electricity. Spoonflower prints using eco-friendly, water-based pigment inks on natural fiber textiles. 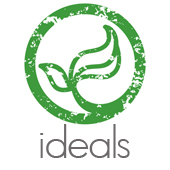 No additional chemicals are used in the printing or preparation process. While these prints do fade more than traditionally printed fabrics, the trade off is that we aren’t leaving a footprint of chemicals behind us with the production or washing. The printing is done in North Carolina. I buy organic, unbleached cotton birdseye fabric that is manufactured in a fair trade factory in Pakistan. It is produced under the GOTS certification standard. I use recycled wool and OEKA-TEX or certified organic merino wool interlock. I dye with low impact acid dyes in small batches, minimizing water waste and dye run off. 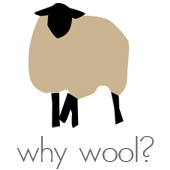 Wool requires less water and soap and energy to wash and dry than plastics (PUL) covers. Wool biodegrades in about 1-5 years in a landfill!! I use organic bamboo velour and organic hemp fleece, opting for unbleached fabric from plants that require little chemicals and water to grow and are sustainable. These fabrics are combined with organic cotton so that they have the softness and durability that cotton provides. I do love printed fabric and choose to buy designer end rolls. This fabric is excess from larger garment manufacturers that have extra fabric after producing their entire line. I think it’s possible to take small steps towards a more holistic approach to garment manufacturing. We need to remember all of the resources and people along the way: the land that grows the plants; the sun, the water, the pesticides and herbicides and insecticides and fertilizers; the people that turn the fibers into fabric; the dyes and bleaches and chemicals used to make the fabric ready for garment production; and the people turning the finished fabric into garments. I prefer to use natural fibers, like cotton, hemp, and bamboo, and I use only organic cotton. Namely, the effects of traditional (non-organic) cotton on our earth’s soil and water systems, and the chemicals needed to grow and manufacture the fabric. I prefer wool over waterproof fabrics, and organic wool or recycled wool when possible. This is because again, polyester fabrics are petroleum products and are not eco-friendly to manufacture, require more water and soap and chemicals to care for, and leave a larger environmental impact when they’re in a landfill. Also, many people have sensitivities to these fabrics or the additives in them. I hope this helps explain why I am passionate about a greener route. I do understand that choosing to cloth diaper is in itself a big decision. Remember that choosing any cloth diaper is going to cause much less of an impact on the earth than using 18 disposable diapers a day, per child, for the next 3 years! SKIRTIES : the perfect spring/summer/fall bottoms for baby! Do you love hemp? You could win some hemp undies for yourself, and a hemp diaper for baby! Wool Interlock / Recycled Wool / Upcycled Wool ? Felted?